The mission of the Erwin Public Library is to provide patrons with the means to meet their recreational reading interest; to find, evaluate and use information in a variety of formats. To have questions answered; and to help excel in the education of both children and adults and to continue as an essential community resource. Just For Kids – Find computer games, new books and the newest DVD’s. Learn more about story time and the summer reading program. Join the library – Find great adventure in a book. A library card is waiting for you. Library policies – Information concerning due dates and lost or damaged materials. A fun place to visit – exciting events are scheduled at your library periodically. 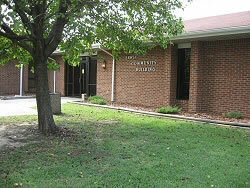 Erwin community center – there is a listing of rental prices and rules that are to be followed. Please contact Town Manager Snow Bowden at 910-897-5140.